Hasn't happened in this form. Car first shown on Dragon's Den in August 2009, where Stephen Voller was seeking a £2.5m investment. 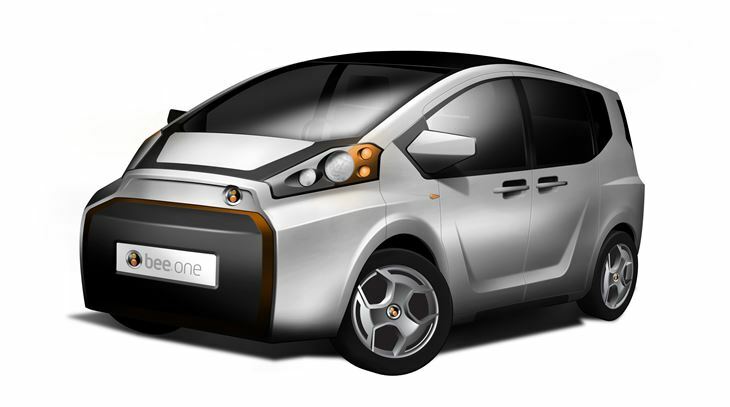 Car was planned to have gone on sale in 2011 and have a 200 mile range by 2015. The Dragons all declined to invest in the project, mainly because of the competition to BEE from well established car manufacturers and the potential to lose everything they invested in it. The car has yet to enter production.